At a ceremony today at the Council of Ministers, the Prime Minister of Bulgaria Boyko Borisov officially presented to the Mayor of Primorsko Dr. Dimitar Germanov the contract for finance of the water supply network of the marine municipality, signed in early February. 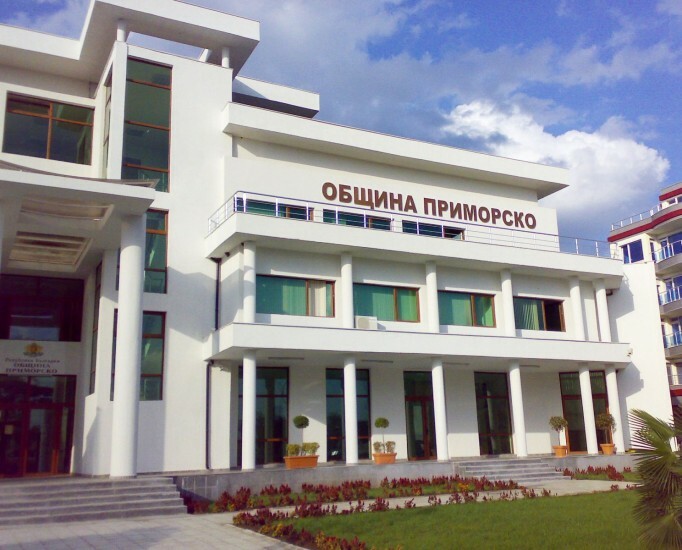 The sum that is allocated for the renewal of the water system amountes to 42 million BGN and comes after the project won within the Operational Programme "Environment 2007 - 2013" "Integrated Investment project in the water sector agglomeration Primorsko - Kiten." "I guarantee that the selection of the companies - contractors will be as transparent as possible and issues encountered during the procedure will be answered promptly. We will encourage those interested to seek and find the information they need, as a sign that we want everything to be fairly and professionally executed"- said Dr. Germanov in his address of thanks to the premiere. "The reconstruction, which we start, should not be considered only as a construction activity, but firstly it is an investment in the health of our fellow citizens and our guests, who choose Primorsko and Kiten for their summer vacation," Germanov added. Significant investments in the water supply system of the municipality of Primorsko as well as a modernization of the wastewater treatment plant in Kiten will be made with the allocations. The ambitions are that the plant will be able to take up to 120 000 people during the tourist season and the quality of the water treated will be greatly increased. The project implementation should be done no later than the end of 2014. The celebration gathered today in the Granite Hall of the Council representatives of 10 municipalities, succeeded in defending projects for construction and reconstruction of water mains and treatment plants. The total amount of the funding is 351 million BGN.